We only sell items that we have personally used and recommend! ROR (2-ounce spray bottle) is a product I've used for over 20 years and it's still the VERY BEST lens cleaning fluid there is! 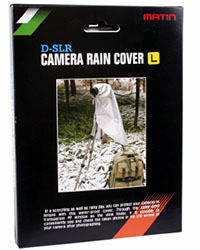 This Flash Hot Shoe Protection Cover fits on either a Nikon and Canon flash hot shoe and serves to protect the delicate contacts. Leave it on your hot shoe all the time to help protect the contacts and it will be there when you need it. The Green Pod - Sharp pictures the EASY way! The Red Pod - Sharp pictures the EASY way!